Although strategies for preventing spinal cord (SC) injury have evolved steadily since the 1980s, SC ischemia after procedures involving the thoracic and thoracoabdominal aorta has not been eliminated. Knowledge of the anatomical features of SC blood supply of the individual patients undergoing open or endovascular thoracoabdominal procedures has several potential benefits. For open surgery, analysis of the SC vasculature could tell us the aortic region that feeds the Adamkiewicz artery and thus needs to be reimplanted. For endovascular procedures, we can determine whether the stent graft will cover the Adamkiewicz artery, thus avoiding unnecessary coverage. Moreover, CT data can also be used to stratify risk of spinal cord ischemia and guide the selective use of spinal cord injury prevention strategies. 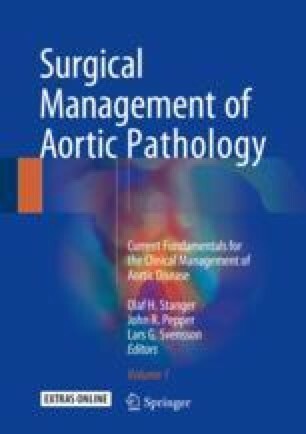 However, the SC vasculature has a complex and difficult anatomy, and teaching is often based only on anatomical sketches with highly variable accuracy; historically, this has required a “leap of faith” on the part of aortic surgeons. Fortunately, this “leap of faith” is no longer necessary given recent breakthroughs in imaging technologies and post-processing software with increased ability to determine a patient’s SC vascular pattern.